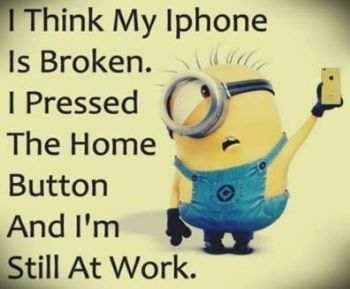 Love the minions! Have a good weekend! Happy *Friday* to you. Hope you find yourself at home soon! Would be nice if it worked that way. Now that would be a smart phone. Dang! My phone is doing the same thing! Sheesh. Firday . . . . waitng for ya!